I've got nothing against February, but it's just not my favorite month. If January is all about wrapping up the holidays with new year's resolutions and March is the beginning of a new season, then what is February really? My favorite holiday has always been Valentine's Day for as long as I can remember which of course is the crowning glory of February. So let's take a stand now and say February is all about love; flushed pink, counting down the minutes, smiling on the inside love. That's how I feel when I look at this room. 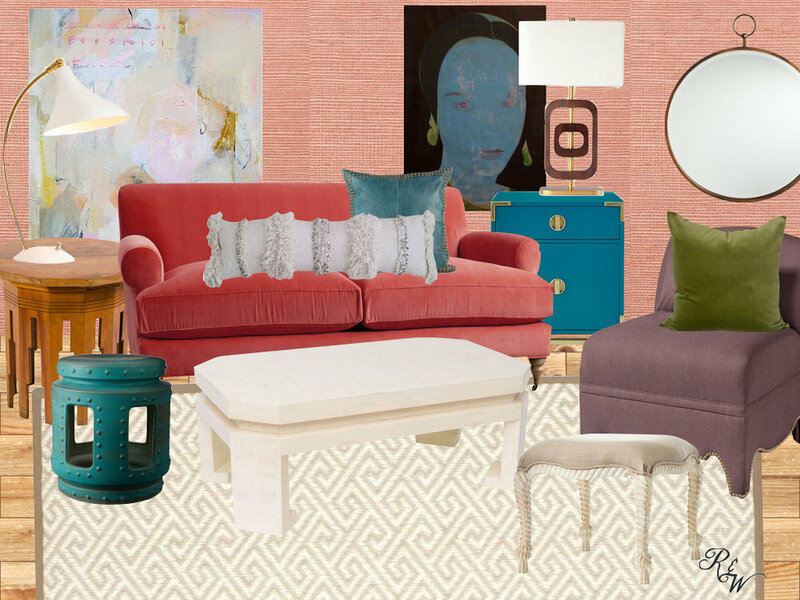 It makes my heart all fluttery- the pink sofa and coral grasscloth are so feminine, but rooted in reality with natural wood tones and a touch of cream keeps it feeling light. This kind of February makes me yearning to linger a little longer!